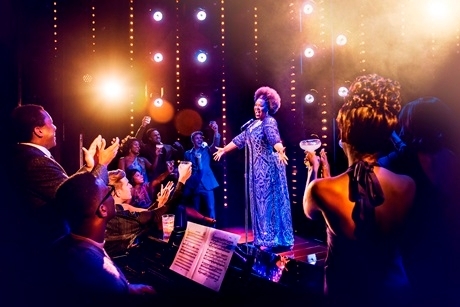 The final performance of Dreamgirls at London’s Savoy Theatre will be on January 12th 2019, prior to a UK tour, with full dates to be announced in due course. Sonia Friedman Productions has announced that Dreamgirls, which opened in December 2016 at the Savoy Theatre, will give its final performance next January, completing a run of more than two years. The show will then embark on a tour of the UK with details to be announced in due course. Meet The Dreams – Effie, Lorrell and Deena – three talented young singers in the turbulent 1960s, a revolutionary time in American music history. Join the three friends as they embark upon a musical rollercoaster ride through a world of fame, fortune and the ruthless realities of show business, testing their friendships to the very limit. Currently West End casting includes Marisha Wallace, Moya Angela and Karen Mav, who share the role of Effie White, Brennyn Lark as Deena Jones, Ashmeret Ghebremichael as Lorrell. Dreamgirls is directed and choreographed by Casey Nicholaw (The Book of Mormon, Disney’s Aladdin and Something Rotten!). With book and lyrics by Tom Eyen and music by Henry Krieger, the original Broadway production of Dreamgirls, directed and choreographed by Michael Bennett opened in 1981 and won six Tony Awards®. In 2006 it was adapted into an Oscar winning motion picture starring Beyoncé Knowles, Jennifer Hudson, Eddie Murphy and Jamie Foxx. Over one million Swarovski crystals have been incorporated into the production, adorning 275 costumes and three crystal curtains. Group rates are available for the West End production of Dreamgirls. Details of group bookings for the tour will be revealed later with the dates and venues of the tour. For more information, visit www.dreamgirlswestend.com. Image: Moya Angela Credit Dewynters. The award-winning Selladoor Worldwide production of Falsettos will open in London this summer. Tickets are now on sale for the musical, Dear Evan Hansen, which is opening in the West End later this year. Hillsborough Castle and Gardens in Northern Ireland has reopened to the public after a five-year transformation project.